Where have the honey bees gone? Since 2007 beekeepers have been witnessing Colony Collapse Disorder. It is more than a little worrying when you consider that due to pollination, honey bees indirectly provide us with over 30 percent of our food. Here, the New York Times tells the story, which is a little more complex than you might have thought. 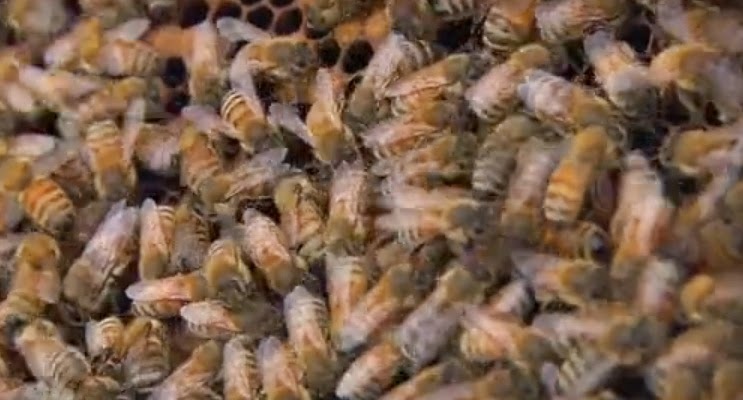 Is there hope for the honey bee? When Charles Darwin arrived at the Galapagos Islands in 1831 he had no idea that what he would discover there would help him conceive his theory of natural selection. Yet despite the many wonders he saw there was one thing he could not experience as we can: the sight of sharks, mola molas, turtle, iguanas, penguins and even orcas in their own habitat. 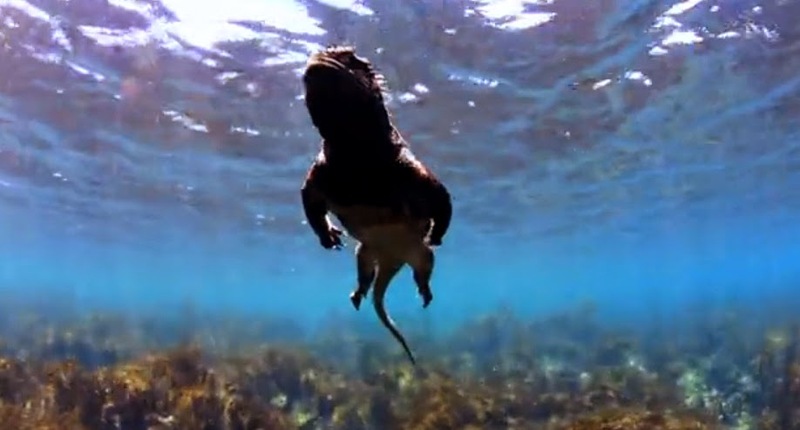 Thanks to Dustin Adamson of Ocean Shutter here is that underworld realm in all its startling and unusual beauty that Darwin could only dream about. You really don’t see this every day. The platypus is usually considered nocturnal (even though it can also be seen in the early evening) yet sometimes, needs must. 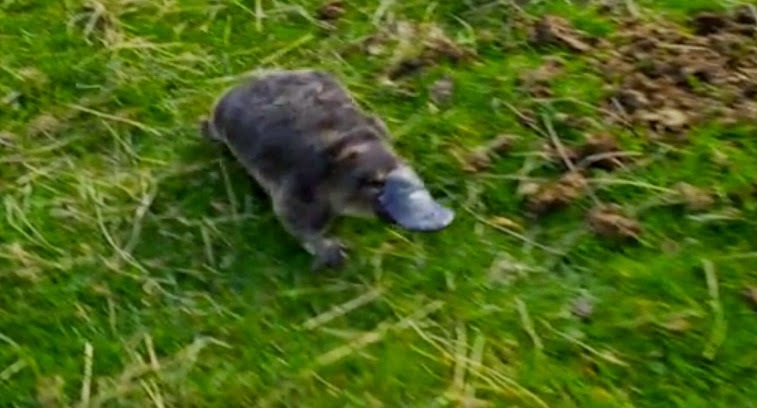 This platypus (one of the few venomous mammals on the planet) wants to get from one creek to another in its Tasmanian home but with no streams to get it to its destination, it has been forced to walk. Its trek was caught on film by Max Moller of Black Devil Productions. 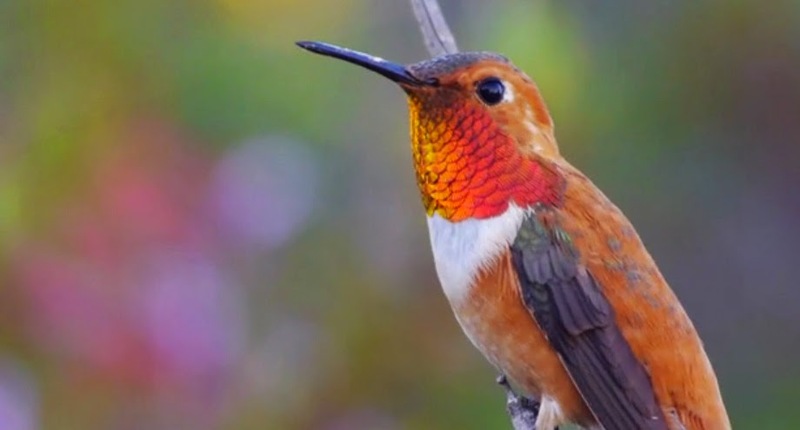 I know that many people find the sight of a hummingbird hovering while it collects nectar the most entrancing feature about these proud little birds. Yet for me it is a little different – the flight is spectacular, of course. However, I love to watch their iridescent throat feathers appear to change color as they move and the light changes – it is just entrancing. This has been caught beautifully by photographer and videographer Don DesJardin. Just watch – you will be spellbound. Species seen in order of appearance are Allen's, Anna's, Black-chinned, Calliope, Costa's and my own personal favorite, the glorious Rufous Hummingbird (above left). 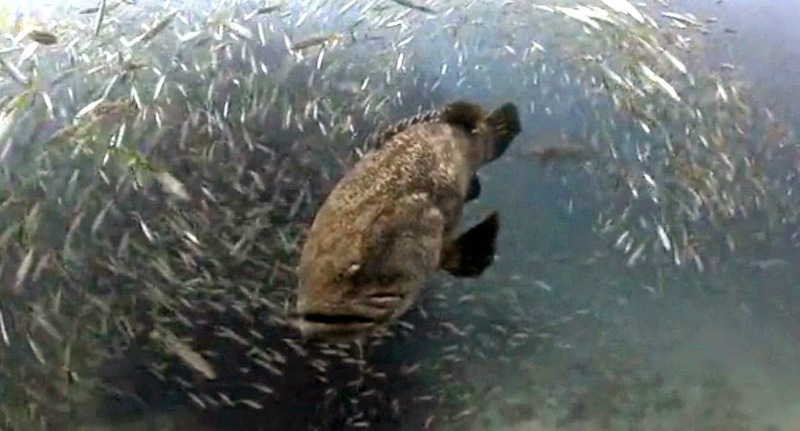 In September the Goliath Grouper gather around wrecks off the South Florida coast. These immense fish which have been known to attack both divers and sharks bring with them a host of other, much smaller fish – including large schools of snappers and grunts. The sight of these fish (metaphorically) dancing around the goliaths, beautifully reflecting light, was captured by photographer and videographer Lee Burghard – and it’s great to see someone filming these mysterious giants of the seas. He called his short film Shimmer. You will see why when you watch it! These goliaths are part of a recovering population. Although they may not be, to our eyes, the most appealing of fish their meat is considered something of a delicacy. Its downfall was its fearlessness and curiosity – it investigates new arrivals in the ocean (such as diving fishermen with spear guns) and as it is relatively slow moving and large was an easy target. The species became critically endangered in the 1980s. Fortunately, the US put a hunting ban on the species in 1990 and since then many other countries have followed its lead. However, it is going to take a long time for numbers to recover – the goliath grouper is a slow grower and takes its time both to reach maturity and to start playing the mating game. Perhaps our grandchildren will be able to witness oceans as full of goliath groupers as they were before we developed a taste for their flesh. 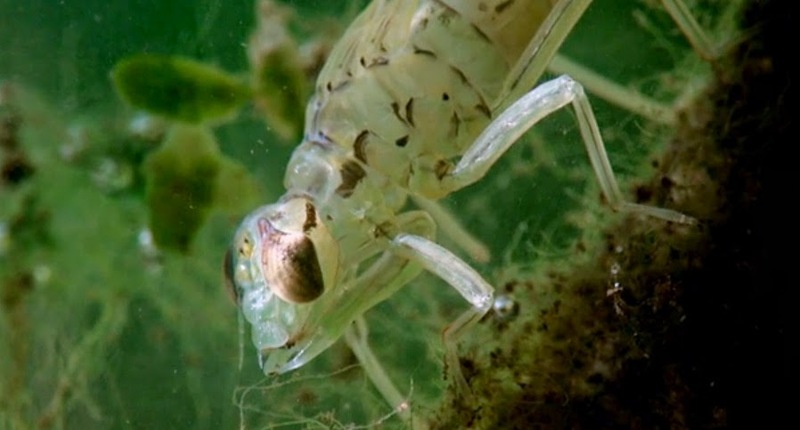 Although the final transformation in to a dragonfly is perhaps the most spectacular, a nymph will have moulted 12-15 times before it emerges from the water. Andy Holt captured on of these moults – and it is an incredibly absorbing process to watch. Note particularly the wing buds splitting and raising at the outset of the moult. This is not something you see every day! This is just beautiful work. 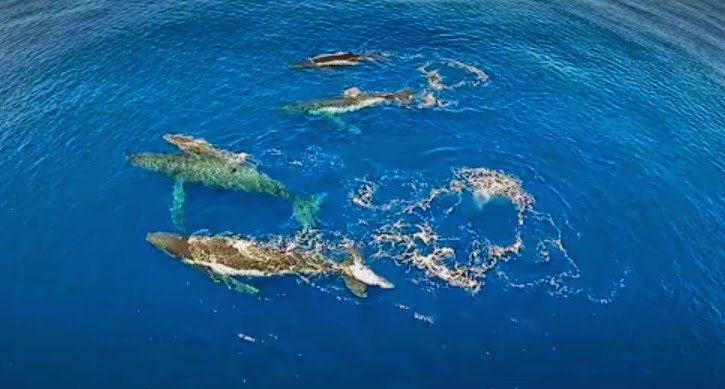 Filmed by Darren Rice, this video shows some amazing images of whales, shot from both above and below. Foa Island Ha'apai, Kingdom of Tonga was the location where these whales were filmed. With a lilting piano accompaniment this shows the majesty of these amazing creatures perfectly. No need for narration, just sit back and take it all in. Lankayan Island is a small strip of sand off the coast of Malaysian Borneo. 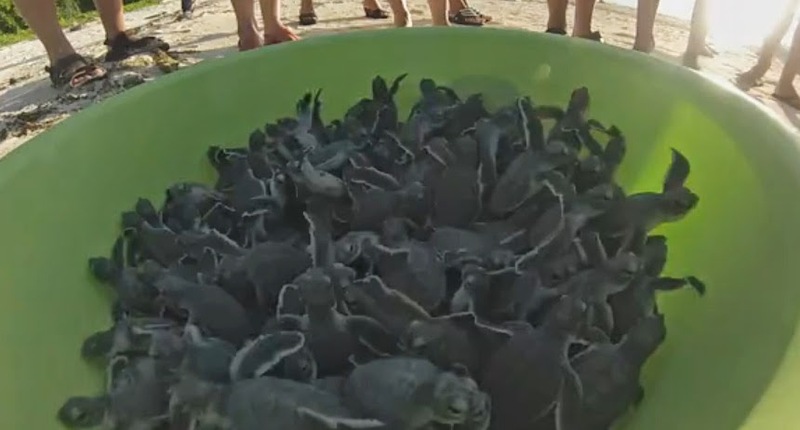 Turtle conservationists there remove eggs from the sand and hatch the babies, keeping them safe from predators both before and after they hatch. Then they are released – by the bowl full, in to the sea. As well as giving some greater hope that the species will survive, it gives us a joyful vision of infant tenacity. Filmed by Leon Duplay, these little guys were born to run!